MADISON, Wis., Oct. 8, 2018 /PRNewswire/ — New research from Propeller Health, a leading digital therapeutics company, suggests that clinical guidelines for assessing asthma control may need to be updated to reflect objective patient information obtained from digital medicines. Propeller’s digital medicine platform helps patients manage diseases like asthma and COPD by delivering concrete insights on symptoms, triggers and medication use. The analysis, done in partnership with the University of Colorado School of Medicine and Children’s Hospital Colorado and published in The Journal of Allergy and Clinical Immunology: In Practice, shows that both patients and providers gain a more accurate view of a patient’s medication use when digital sensors record the number of “puffs” of rescue medication that were used. These findings demonstrate how objective digital data can be used to more accurately measure and assess asthma control, compared to patient-reported data that depends on patient recall and can be skewed by recall bias and healthcare provider interpretation of this data. This new evidence suggests that “occasions of rescue use,” recommended in the 2009 American Thoracic Society (ATS) and European Respiratory Society (ERS) Task Force report as a method for assessing asthma control, be reconsidered. In particular, these data indicate that there is no clear, natural definition of an “occasion.” In comparison, the reporting of puffs is objective and more easily standardized in clinical practice, paralleling the recommendation for clinical research. 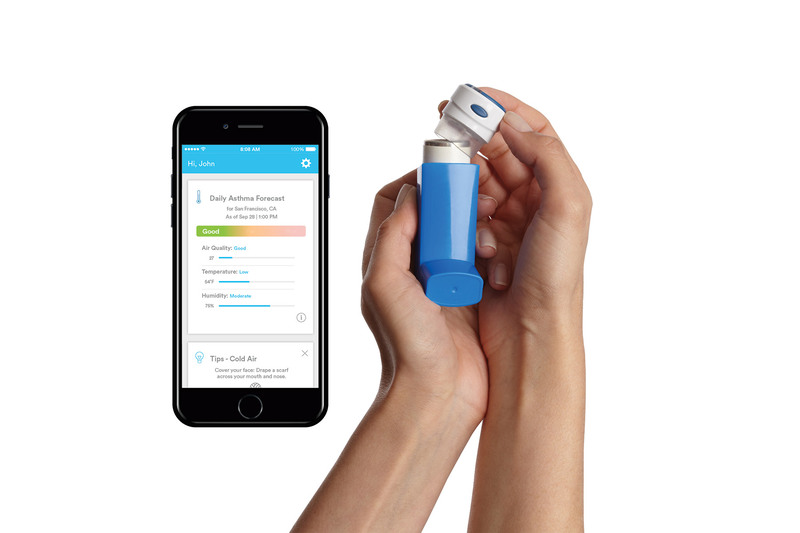 In this study of 3,373 patients, Propeller Health used its digital medicine platform to connect patients’ inhalers with an attached sensor that reports the date and time of inhaler use. Using digital medicine data, Propeller was able to objectively assess how many puffs a patient took of their rescue medication, giving a more accurate picture of their medication use. Within two minutes of the first puff, 30% of rescue events consisted of a single puff, 53% had two puffs and 17% had three or more puffs of rescue medication. Over the next 4-6 hours the pattern of inhalations changed incrementally, indicating no clear cut-off point for an occasion.